If you’re planning to apply for student loans, it’s important to understand the basic types of loans available, so that you will be better able to determine which are most appropriate for your circumstances. The amount of money you qualify to borrow depends on several factors, including your financial need and the amount you and your family are able to contribute towards your college expenses. The most common types of education loans are explained here. The Federal Stafford Loan is the most frequently awarded type of student loan. There are two variations on the Stafford Loan: the Federal Family Education Loan Program (FFELP) and the Federal Direct Student Loan Program (referred to as Direct Loans). Either of these loans may be Subsidized Stafford Loans (meaning the federal government pays the loan interest while you are in school) or Unsubsidized Stafford Loans, where you pay the interest (although the interest payments may be deferred until after graduation). You may want to learn more about the difference between Subsidized vs. Unsubsidized Stafford Loans. Whichever you choose, in order to qualify for a Stafford Loan, you must submit a FAFSA (Free Application for Federal Student Aid). 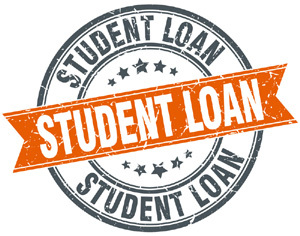 Like the Stafford Loan, a Perkins Loan is a federally subsidized, need-based student loan product. Perkins Loans are awarded to full-time students and carry a grace period of nine months, meaning that students do not begin repaying the loan until the tenth month after they graduate (or drop out of school or fall below full-time attendance). Parents who have dependent children in college can take advantage of the Federal PLUS (Parent Loan for Undergraduate Students) Loan program to cover any education costs not covered by the student’s financial aid package. Unlike Stafford and Perkins Loans, a PLUS loan is the responsibility of the parents. Since 2006, graduate students may also take advantage of the PLUS loan program to finance their educational expenses. Students and parents often turn to private loans to cover any educational costs that are not covered by government-subsidized loans. Private student loans are typically awarded based on the borrower’s credit score, rather than financial need. These loans come from private lenders and are generally more expensive than government loans, often carrying a variable interest rate. It is a good idea for both parents and students to exhaust any other loan options before turning to private education financing. Keep in mind that no matter which type of loan you opt for, you will be required to pay it back, with interest. Before you commit to a long-term loan payment, it is a good idea to investigate the various non-loan types of financial aid, such as grants, scholarships, and work-study. The earlier you begin your investigation, the better your opportunities for getting the money you need to cover all of your education expenses.